IT’S TIME TO KICK BAD EATING HABITS. READY? SET, GO! Contact us — We’ll come to you to learn more about your office and the struggles you encounter in supporting healthy office snacking. 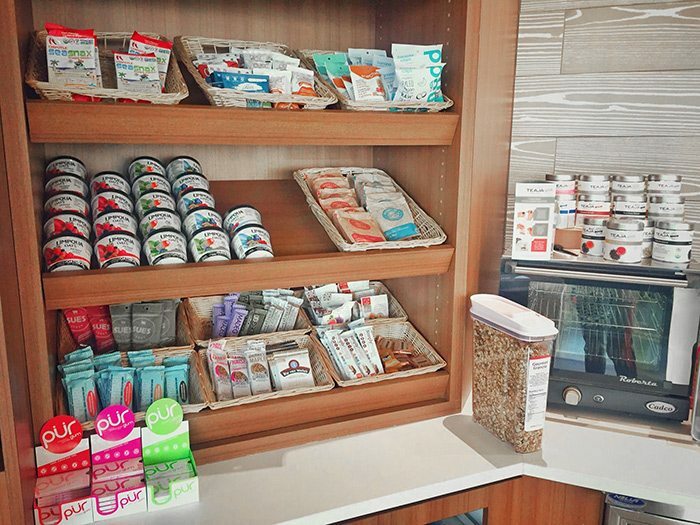 To reinvent or refresh your snack program, it’s helpful to see your setup, what types of snacks you currently make available or vending systems in place. We’ll share what we can do to build up or enliven your snacks program, and provide the recommendations that best suit your offices. Plus, we’ll bring along complimentary Mindful Snacks samples for you, so you’ll see firsthand how you and all employees can enjoy a better, healthier workplace. Share your budget, and we’ll make your offices’ healthy snacks and beverage program happen. We manage the entire procurement process through our tracking and reporting system, in line with your weekly and monthly budget. We handle reorders, restocking and cleaning — you relax and have more time to focus on the things most important to your business. Once we confirm the details of your healthy snacks program, we are ready to go. Name your preferred delivery days and times and within 48 hours, you will receive your first office snacks and beverages delivery, fully stocked in your kitchen. Prepare to be the office hero! Being Mindful is a benefit for everyone. How does Mindful Snacks help you do a better job? Here’s a list of what we know matters the most to you. From budgeting to cleaning up, we take care of EVERYTHING! Employees APPRECIATE Office & HR Managers that implement healthy snacking programs – prepare to be the office hero! Don’t sacrifice your health for hunger – snack MINDFULLY, not mindlessly? IMPROVE your energy, productivity, and happiness by living a healthier lifestyle!